This started as a 70's thing, but the 80's were the decade where I was really paying attention to drag racing, before things got too tightly controlled. 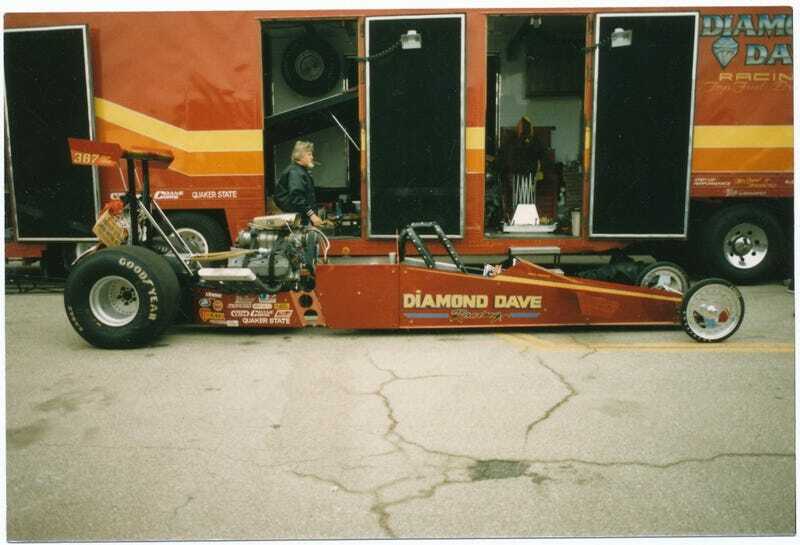 My first reason why drag racing was cooler in the 80's is "Diamond" Dave Miller and his short wheelbase Top Fuel dragster. While other teams were building longer cars with taller, larger wings and experimenting with aerodynamics, Dave Miller went with a shorter wheelbase, a stiffer chassis and a smaller rear wing. The car qualified regularly and ran some competitive times, but it never won an NHRA event as far as I can remember. Nowadays, dragsters are limited to a minimum and maximum wheelbase of 300 inches, give or take a few inches. Boring.